Click on the Thumbnails to View the Front and Back Covers in Greater Detail. 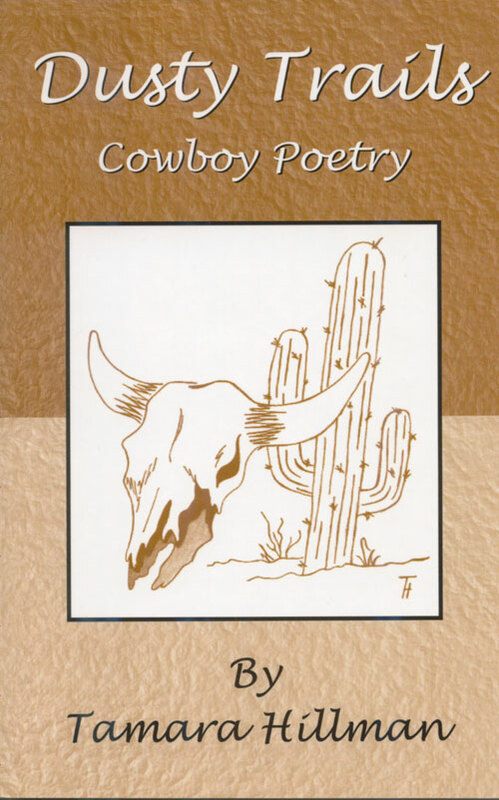 Tamara Hillman does not get her inspiration from Western Movies when it comes to Cowboy Poetry. 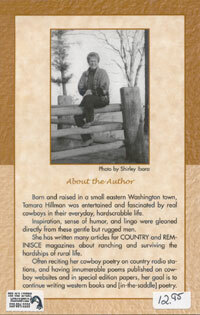 Born and raised in a small town in Washington state, she was in the company of real American Cowboys. You can find articles by the author in Country and Reminisce magazines regarding the ranch lifestyle and the challenges that come with it. Tamara has appeared at the Wickenburg Cowboy Christmas gathering. If you enjoy Cowboy Poetry and the culture that goes with it, you have probably been exposed to her work. Don't miss out on her latest collection!